I have lived through many life stages in Manhattan and have experienced the glories of this city in all its forms. I moved here more than 20 years ago when I was in my 20’s and single and spent a fair amount of time in bars, at dance clubs and on the volleyball court. When I got married, my husband and I practically made a job out of eating our way through ALL of the Manhattan restaurants. A few years later, with small children, my goals shifted a bit and we spent many long days playground hopping our way around town. Now, my children are teens and we are experiencing yet another side of the many facets of this 13-mile long island. I guess what I’m trying to say is we know our way around a bit here! With all of these experience in mind, I have attempted to put together a few comprehensive itineraries for both the tourist in our great city and for the resident on a staycation. The first question people ask about when coming to New York is where to stay? My biggest piece of advice is please, please do NOT follow the masses and stay in Midtown. There are so many terrific boutique hotels below Times Square in NYC and the subway system is super easy to get around. When staying in a downtown boutique hotel, you get the opportunity to feel what it’s really like to be a New Yorker. A few of our suggestions for mid priced boutique hotels in downtown and near public transport include the Duane Street Hotel in Tribeca (with bikes available to explore the many bike paths), the Highline Hotel in Chelsea (amazing for an afternoon hot cocoa or cocktail after walking the High Line), the Ludlow Hotel on the Lower East Side or the Arlo Hotel in Soho (my favorite place to spend an afternoon working on the computer). Ok – let’s explore NYC! Keep in mind, while you can experience this itinerary in any order, a lot of thought is given to timing and what makes geographical sense. So all the activities listed for one day are within easy distance of one another and can be accomplished in the course of a day. With that in mind, feel free to break this down into pieces to incorporate into your own itinerary, or to just follow it step by step to get a real bite out of the Big Apple! Activities – Start your day in lower Battery Park (1 train to South Ferry, 5 train Bowling Green, or R,W Train to Whitehall/South Ferry). Take a ride on the Sea Glass Carousel, then take the ferry to Statue of Liberty and Ellis Island (reservations and advance tix recommended here). After the tour, walk north along the water through beautiful Battery park until you reach the North Cove and the World Financial Center (about a 30 minute walk). Stroll through Brookfield Place and the Oculus for the ultimate upscale mall experience. Consider a trip to the top of the One World Observatory (but don’t go if you plan to see the Empire State Building). Reflect at the 9/11 Memorial so we never forget. Head to Tribeca for dinner at one of the many amazing restaurants in this mecca to the stars. Total distance 1.3 miles. Eat at – In Battery Park: Gigino at Wagner Park – Near World Trade Center : Hudson Eats – the food court at Brookfield Place – In Tribeca (both on West Broadway): Tiny’s ,The Odeon or Thalassa. 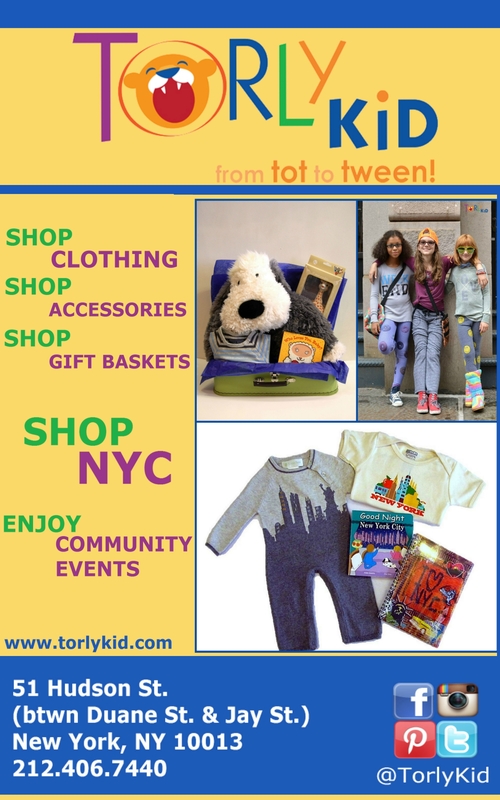 Shop at – In Brookfield place (mostly major brands) and In Tribeca: Torly Kid (on Hudson St & Duane for kids), Gloria Jewel ( on West Broadway & Warren for women) and The Liquor Store (on West Broadway & Franklin for men). Activities: Start your day ahead of the crowds at the northern most entrance to the High Line (at 34th between 11th and 12th – closest subway stop is the 7 at 34th & Hudson Yards or take the A/C/E to Penn Station and either walk or take M34 bus). This old elevated rail line has been turned into one of NYC’s nicest parks but be warned, it gets crowded. PRO TIP: avoid weekends – hours are 7am – 10pm. Follow the High Line all the way down to Gansevoort St. in the meatpacking district for lots of public art and some great views of the Hudson. While the High Line ends in the meatpacking district (where you will spend your afternoon), there are a few places worth hopping down to street level to see along the way. Total distance 1.6 miles. If you have an active crowd with you, stop in at Chelsea Piers (between 18th St.and 21st St. on West Side Highway) for a turn either in the driving range or the batting cage (if it’s raining, try the bowling alley or rock climbing). Or is Ping Pong your thing? There is a terrific Ping Pong bar on 23rd and 5th called Spin. Opens at noon and is a great way to spend an hour with teens! Pop into NYC’s best concept shop called Story on 19th street and 10th Ave. for a look at an ever changing range of eclectic gift items. Grab a bite at a rustic favorite among locals Death Ave (10th Ave & 28th St) Inventive greek cuisine with a great backyard. The coffee bar at the High Line Hotel (10th Ave & 21st St) makes for a very pleasant stop to warm up with coffee or hot chocolate on a cold day. Have Dinner or cocktails in Meatpacking District to round out the day: some local faves include Bubby’s Pie Company (Gansevoort & Washington) for excellent pie and fried chicken, Dos Caminos (14th & 9th Ave) for Mexican and excellent central outdoor seating (don’t eat inside), The Standard Biergarten (Gansevoort & Washington) for traditional beer, pretzels and rabble rousing. For a quick meal, try the Gansevoort Market (14th & Hudson). You can’t throw a stone in the Meatpacking District without hitting a restaurant that will set you back a bit so if you want to splurge, I love The Standard Grill (13th St. & Washington) and Buddakan(16th St & 9th Ave). Both will likely require advance reservations. Activities: Start your day in Grand Central Terminal (42nd & Park Ave – most subways stop here – 4,5,6,7,S). Look for the constellation ceiling, and the whispering wall or try this Secrets of Grand Central Tour. Pop into Piq Gifts for some fun, and quirky gifts. Then walk west on 42nd St to 5th Ave. Turn south on 5th Ave and stop at the NY Public Library to say hello to the lions Patience and Fortitude. Continue down 5th Ave to the Empire State Building at 34th st (get tix in advance here). After seeing the view from the top, keep walking south on 5th Ave., passing through Madison Square Park and Flatiron at 23rd St. Snap a pic of the building that gives this neighborhood its name (at 175 5th Ave) and peek in at the Lego store across the street. Stop here for lunch (see “Eat At” below). From here hop over to Broadway and continue walking south for some fun and quirky shops (see “Shop At” below) towards Union Square at 18th St. Take a minute in Union Square Park to get a little bit of anarchy in your life or learn a new song on your guitar. This is where the hippies and college kids trying to change the world hang out. At the bottom of Union Square Park, hop back over to University or 5th Ave. and continue moving south towards Washington Square Park. The arch at 5th Ave just below 8th Street is a wonderful way to enter the park. You are now in NYU territory – enjoy the University surroundings. Dinner suggestions in Greenwich Village below. Total distance: 2.0 miles. Shop at: Flying Tiger Copenhagen (Broadway and 21st) for things you didn’t know you needed and Fish’s Eddy (Broadway & 19th)for great kitsch and political fodder. Don’t miss ABC Carpet & Home – a 6 story posh home decor store (Broadway & 18th). In Flatiron Eataly – locals prefer gathering yummy provisions and taking them to Madison Square Park to eat, or if it’s cold or raining eat at one of the restaurants inside Eataly (try Serra on the roof). For a quick bite of delicious burgers and shakes, try Shake Shack in the park. In Greenwich Village: Above the park, Otto Enoteca at One 5th Ave for a trendy gourmet pizza and wine bar popular with the locals. A “quick bite” place we love is Grey Dog at 90 University Place. Below the park, two celeb hot spots that locals also love are Minetta Tavern (French) between W. 3rd St. and Bleecker near Macdougal and Bar Pitti (Italian) on 6th Ave between Bleecker and W. Houston. On Prince St. between MacDougal and Thompson you have a plethora of good places, including Shuka (Mediterranean), The Dutch (American), Blue Ribbon Sushi (Japanese), and Raoul’s (French bistro). Note that while we try to suggest places you can walk into without a reservation, we recommend calling ahead when you can – especially on weekends. Eat at: After a full morning of culture, grab lunch at Cafe Sabarsky in the Neue Galerie (old school Viennese), or Le Charlot (69th & Madison). Or better yet, on a nice day gather food to bring to Central Park at Via Quadronno (73rd & Madison) or Bel Ami (68th & Madison). Afternoon Activities: Spend the afternoon exploring the wonders of Central Park. This park covers 50 city blocks and is vast enough that navigation, once inside, is a bit challenging. I will help guide you through the can’t- miss highlights here. If you’ve got young kids in tow, you goals may be different than if you are traveling without kids so I’ll touch on both. Think of Central Park as divided into 4 sections spanning the entire width of the park from East to West and 1/4th of the park from North to South. Realistically, covering the entire park in one visit will be next to impossible. I advise targeting two of the 1/4 sections allowing for covering half of the park in one afternoon. You can always cover the other two sections on your next visit to NYC. Between 59th Street and 65th Street (from Central Park West to 5th Ave). – since you left off this am at Museum Mile, let’s start on the east side. Highlights here are the Central Park Zoo, Wollman Rink (ice skating in winter and carnival in summer) and the Gapstow bridge (a great photo moment). They are all very close to one another and worth wandering through. Heading west towards Central Park West, you will find the Central Park Carousel, and Heckscher Playground which has lots of fun climbing rocks as well as the requisite playground equipment. Including the zoo (or Wollman Rink), this area can be done in 2-3 hours. Without either of those activities, 90 minutes. Between 65th Street and 79th street (from Central Park West to 5th Ave). This area covers the most ground. From the west side, right above 65th is the Sheep Meadow. A great place to throw a frisbee or have lunch. Moving back east, and for Iditarod fans, is the Balto statue. If Balto doesn’t mean anything to you, head north to the top of the Sheep Meadow for a look at Strawberry Field. Then work towards the center of the park and experience the beautiful Bethesda Fountain. Looking out over the lake, have a drink at the Loeb Central Park Boathouse Outdoor Bar. You may want to rent rowboats in the Lake. Back towards the east side, you can find both the Alice in Wonderland statue, and the Hans Christian Anderson Monuments. North of the lake is the Ramble, 38 acres of woodsy walking paths. Including a stroll in the Ramble, you can probably see all of this in 2 hours. Between 79th street and 97th street (from Central Park West to 5th Ave) – While this area is the largest, the large reservoir in the middle makes it easier to navigate. Just on the other side of 79th st and in the center of the park, don’t miss Belvedere Castle, Turtle Pond, the Swiss Cottage Marionette Theater and the Delacorte Theater all very close to one another. The Delacorte Theater hosts Shakespeare in the Park every summer and would be an evening to remember if you can get tickets. The Marionette Theater runs cute little Swedish Marionette shows in the mornings sometimes and might be fun if you are in the area. Keep walking north towards 86th street toward the Reservoir to see where NYC laces up its running shoes. If the sun is setting at this point, you will have some beautiful shots of the reservoir with the NYC skyline in the background. Enjoy an evening stroll around part of the reservoir (the whole loop is 1.58 miles if you are so inclined). Between 97th street and 110th street (from Central Park West to 5th Ave) – Easily the least visited section of Central Park, this area has some not to miss highlights as well. On the west side near 102nd street is The Pool, a tranquil lake ringed by weeping willows. On the other side of the Pool is the Glen Span Arch which leads into the North Woods. Look for the waterfall in the Ravine. To the east side is the parks only formal garden, the Conservatory Garden. The main entrance is at 5th Ave and 105th street. The Meer (dutch for lake) is in the northeast corner of the park and is home to the Pumpkin Flotilla at Halloween. Activities: Start day 5 with a bit of fun doing my Downtown Cupcake Tour – The tour begins in Tribeca where you can taste test 3 great cupcake shops within a few blocks of one another. Take any train to Chambers St. and start at Duane Park Patisserie at 179 Duane St.(also try the Ring Ding Bar here! ), then walk to Baked TriBeCa at 279 Church St, and Billy’s bakery at 75 Franklin st. All quick strolls to one another. Right outside of Baked, you can hop on the A/C train at Canal st and take it to west 4th street in Greenwich Village for your next stop. Exit at the south end of the train (4th street side) and make your way to Molly’s cupcakes at Bleecker & 6th. Back out on 7th ave, hop back onto Bleecker St and walk north toward Bleecker St Playground for the famous Magnolia Bakery (401 Bleecker at W. 11th st). Along the way, shop small at some of the few remaining independent boutiques in Manhattan. Enjoy your cupcake in Bleecker Street park right across the street. No need for lunch after this tour. Maybe back home for a nap! No trip to NYC is complete without a few hours in the belly of the beast – midtown and Times Square – so we shall spend our afternoon there but be prepared to deal with the crowds. Let’s start at Rockefeller Center which is basically the area between 5th & 6th Ave at 49th & 50th street. If you are in the city in December, the most obvious stop is the tree, ice rink and the light show at Saks on 5th Ave. Other times, you can take spin on the city’s most famous ice rink, visit the Top of the Rock for a spectacular view, shop some of the biggest name stores in the world on 5th Ave, or do an NBC Studio Tour. Note: Whatever you decide to do in midtown, I recommend purchasing tickets in advance of your trip. Pro tip: As locals, we love to see the Holiday windows in December. Our secret is that we do them at 9am on a weekday when the shops are still closed. There are no lines and we can enjoy the windows at our leisure. We finish our morning enjoying brunch or tea at the Plaza. Our recommended points of interest around Rockefeller Plaza include St. Patricks Cathedral on 5th Ave and 50th (for the Catholic fans), the Museum of Modern Art on 53rd between 5th & 6th Ave (for the Art fans – note we LOVE the Design Store attached), The Lego Store (for the kids), The American Girl Flagship (for the kids), and Ellen’s Stardust Diner (for the Broadway fans). While wandering the neighborhood, look for the LOVE sculpture (55th & 6th) and the HOPE sculpture (53rd & 7th), for a few fun photo ops. The best way to see Broadway and Times Square is to plan for a Broadway show in the evening (see tip below). Go a little early before the show to gawk at the lights in Times Square and enjoy a few photo ops on the stairs in Father Duffy Square on 47th and 7th Ave. Dinner in midtown is always harried and a bit crazy but can be part of the fun. Eat at: For more upscale dining requiring advance reservations – DB Bistro Moderne (44th between 5th & 6th Ave) , STK Midtown (6th Ave between 42 & 43), Keen’s Steakhouse (36th between 5th & 6th Ave), or Rotisserie Georgette (60th between 5th & Madison). Pro tip: If you are not trying to see one of the hottest shows on Broadway (and have not purchased advance tickets), more affordable tickets for really great shows can be found at either todaytix or TKTS. Download the app on your smart phone or stand in line at the TKTS booth in Times Square for reduced rate tickets. Note you have to choose from the ever changing board of available shows at the moment. Note that if you plan to go in person, there are several other TKTS booths in NYC that are far less crowded in South Street Seaport and Lincoln Center. Want to take this itinerary with you on the go? Print this useful NYC itinerary for first-time visitors and take yourself on a tour of the big apple. This is great! Will share with visiting friends!